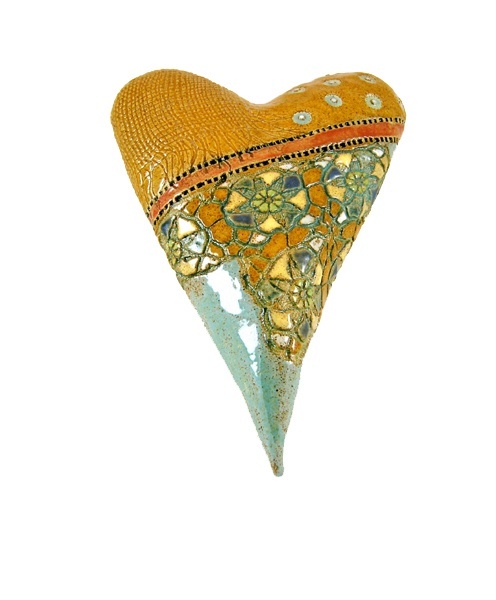 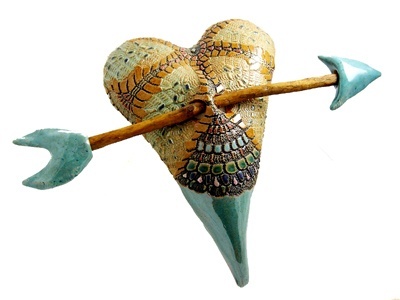 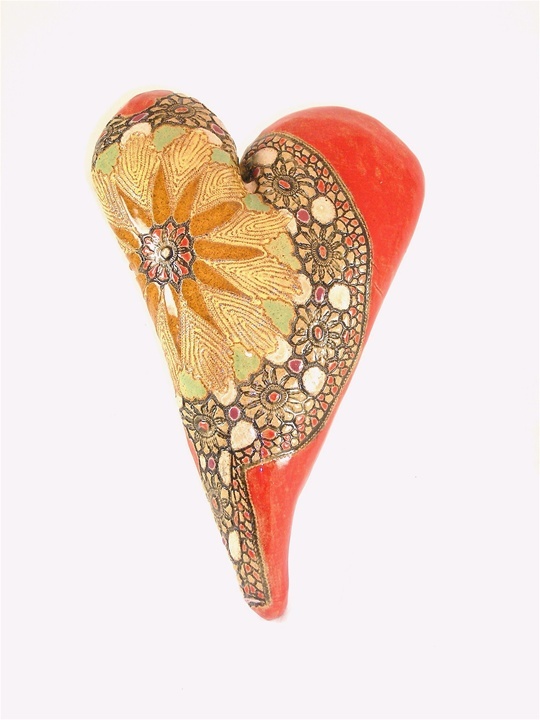 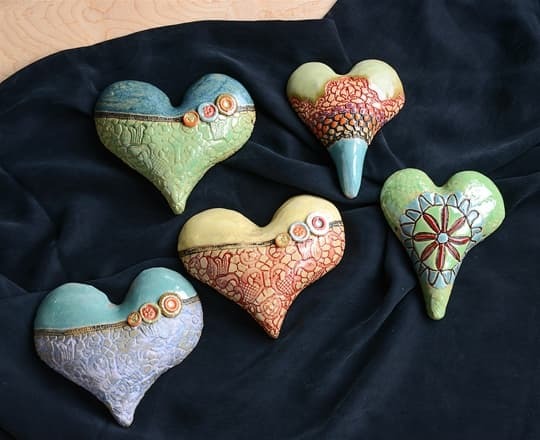 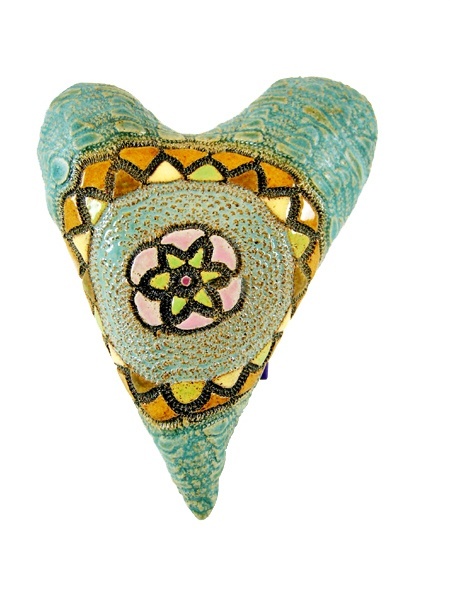 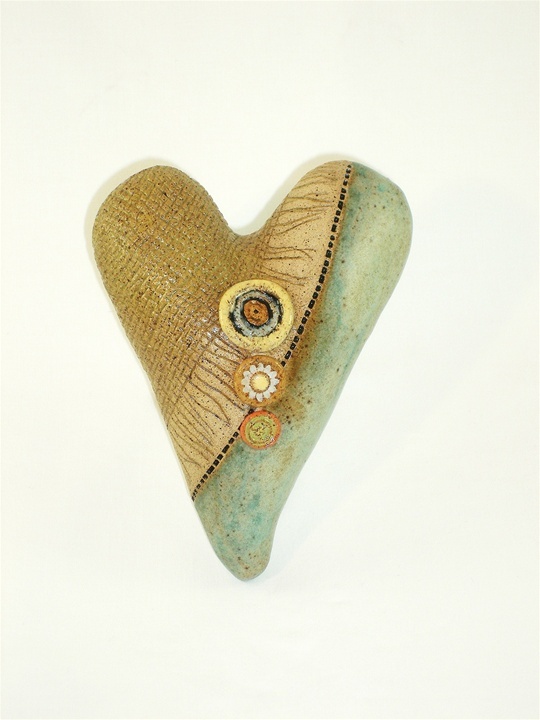 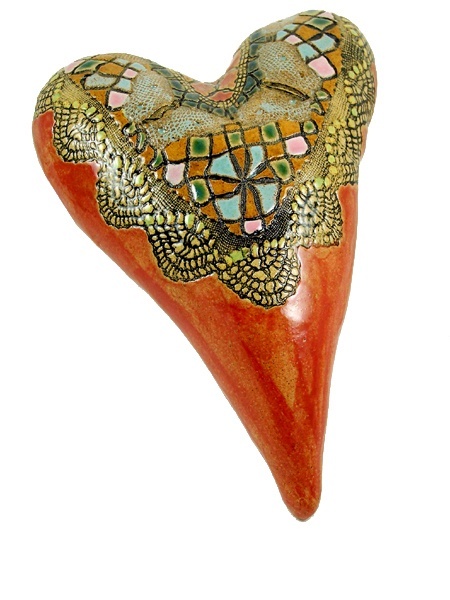 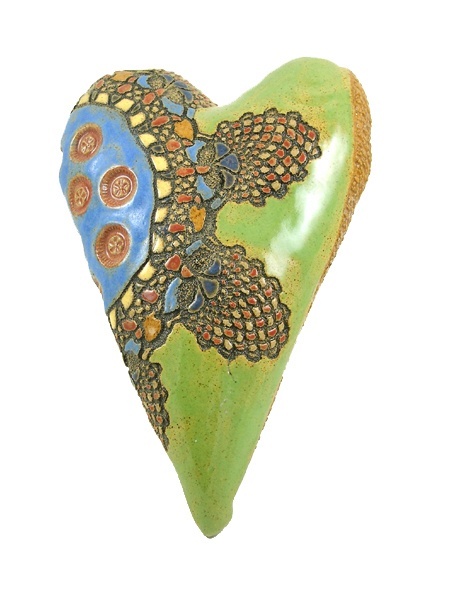 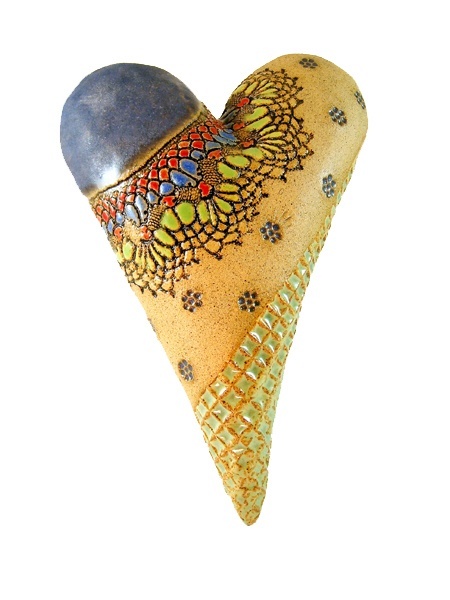 Laurie Pollpeter Eskenazi’s handcrafted, colorful hearts, platters, and bowls make wonderful wall and table decor. 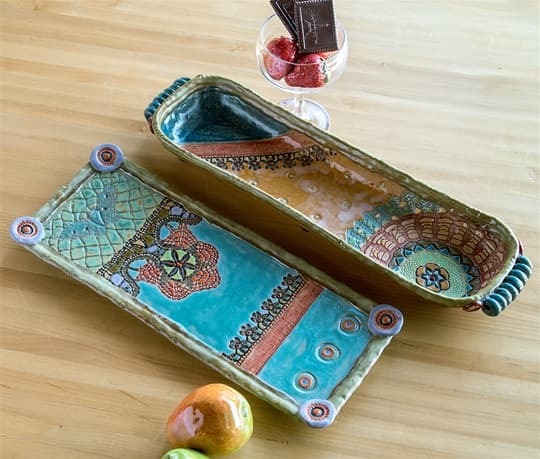 Much of Laurie’s detail actually comes from her grandmother’s sewing box. 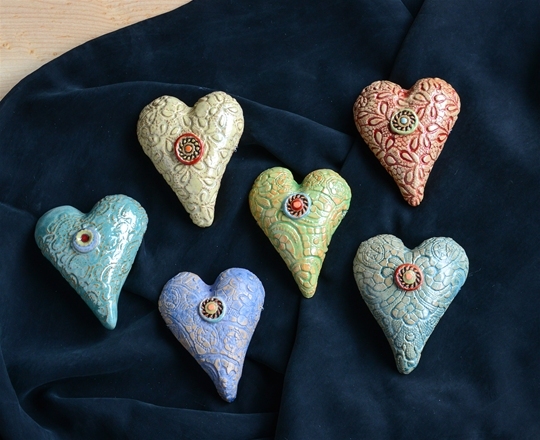 Buttons, lace, and sewing trinkets are pressed into the clay and then colorfully painted and glazed. 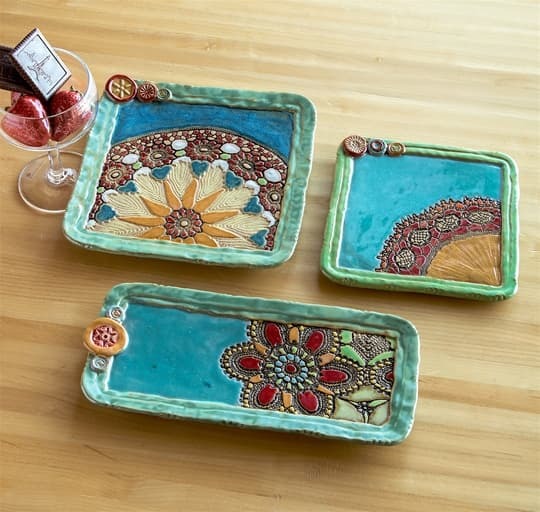 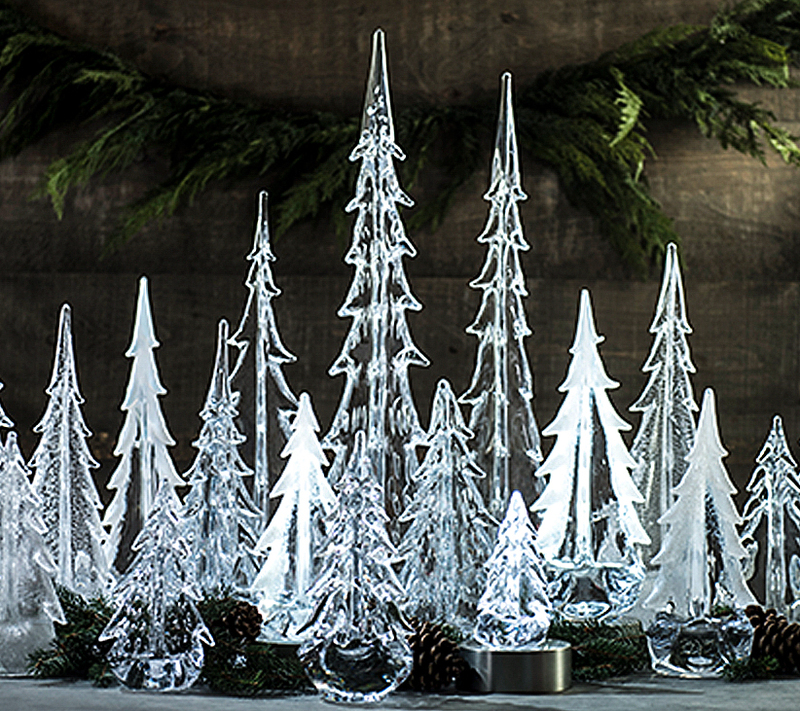 Perfect gifts for Mother’s Day, weddings, or special occasions.